QR (Quick Response) codes are 2-d barcodes comprised of black dots on a white background, that when decoded by QR reader software on a smartphone display a webpage or a marketing message, initiate a phone call or an email, or even pull up a map pinpointing your business location. QR codes are not new technology—they’ve been used in industrial settings for years. (A Toyota subsidiary invented them.) Nor is the concept of bar code marketing messages new—anyone remember the (failed) CAT reader from the 1990s? However, QR codes are fast becoming integral parts of mobile marketing programs as more and more people are using smart phones equipped with cameras and QR reader software. If you’d like to try them as part of your marketing program, start out by using Quikqr to generate QR code images for free. Using this service is amazingly simple. Just enter marketing text (for example—“Use code 123A for $25 off a $100 purchase at My Company.”) or a url containing a marketing message into the Enter URL or Text field, and click the Generate Code button. 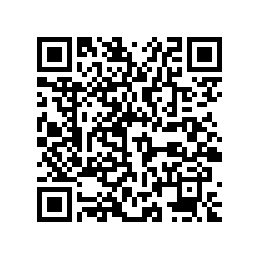 You are taken to a page where you can view the QR code, download it as a small, medium or large .png image, or email it. You can use the generated QR code image in any application—personal or commercial. Display it in your store window, add it to your print ads, use it in online banner ads, include it in email marketing, etc. You can even use the Quikqr code partners to have it made into stickers or placed on T-shirts and mugs. For more advanced programming techniques, such as using QR codes to launch maps, email messages, or phone calls, see the What Can QR Codes Do post on the Quickqr website, and read their FAQ. To learn more about QR Codes, read the Wikipedia article.